We talk a great deal about recycling in our society. But, when it comes to our old television, we don't always think of recycling them. Buying new electronic devices and appliances can be exciting and even a lot of fun for most people. However, it also can mean a large amount of debris that now has to be disposed of. The purchase of a large electronic appliance like a computer or a television takes that chore to higher level. And, while getting rid of all the paper, foam and cardboard packaging can be challenging enough, having to get rid of your old electronic devices can be downright troublesome. You Can’t Have Too Many TVs – Or Can you? 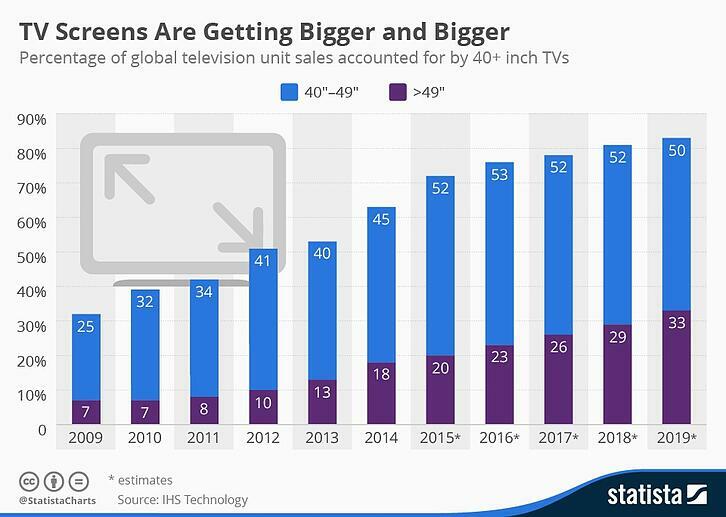 With the growing popularity of ever-larger, flat screen TVs, it seems that millions of American households find themselves with newer, bigger screens every year. And all the TV upgrades means that there are potentially millions of "old" screens and truly old TV monitors that end up looking for a new home, or needing to be disposed of somewhere. In fact, according to one estimate, there are currently almost 340 million televisions in the United States alone. This means that there are millions upon millions of old CRT and early flat-screen televisions tucked away in basements, garages, and spare bedrooms across America. From a recycling perspective, this means that in 2015, for example, Americans had around 5 billion pounds worth of CRT TVs in their homes, according to one survey. Televisions – especially the old cathode ray tube, or CRT, models - can last for 20 to 30 years. Because of their longevity and the fact that they are also extremely heavy, people tend to leave them around instead of taking steps to get rid of them. What’s In a TV Anyway? Essentially, televisions are constructed in two ways. The old technology was to use cathode ray tubes, or CRTs. The other, more recent, approach is the flat screen variations. The CRT is a large, pyramid-shaped assembly that has a television screen attached to the front end. These devices are almost always quite heavy and somewhat fragile. This is a potential problem because of the contents of the CRT. For example, just the glass in a typical CRT can contain up to 8 pounds of lead, along with a layer of cadmium-based phosphorous and other toxic heavy metals. Normally, a television’s CRT is not a health threat, which is a good thing as there are still millions of them sitting in U.S. households! However, if the glass on a CRT breaks, it can release the lead and other materials into the air or ground. While not weighed down with lead-filled glass CRTs, old flat screen TVs have their share of toxins and hazardous materials, in addition to wood, plastics, copper wiring and circuit boards. In fact, many electronic devices besides TVs contain toxic substances such as lead, mercury, beryllium and cadmium. This makes recycling them is difficult and costly even though it is illegal to simply dump them in about half the country. And older TVs with fragile and heavy cathode ray tubes pose a special challenge for disposal or recycling. It used to be that in the recycling and recovery industry old TVs could be profitably dismantled and their components recovered. Because of the relatively high prices of metals, the glass tubes containing lead could be melted down to make new CRTs. However, as new technology has gradually replaced the old CRT sets with LED and plasma televisions, there is little demand now for the lead-filled glass and new CRTs. In addition, a long period of relatively low prices for metals commodities such as gold and copper have served to make reclaiming raw materials from the old sets unprofitable. Not too long ago, around 2011 when gold prices were reaching record levels, recycling and recovery businesses were more than willing to buy the old TVs. In fact, local municipalities afford to invest in programs to collect old TV sets from residents since these were willing to pay enough to offset the costs of the programs. That ceased to be the case until quite recently when, at the beginning of 2017, the metals market began to see sharp increases in the prices of gold, silver and copper. But newer televisions are no longer composed of leaded glass. Now any recovery process involves separating the lead so it can be used in other products such as car batteries. This is an expensive process that wasn't necessary when there was still a demand for CRT glass. Unfortunately, more recovery facilities refuse to take old TVs so that they don’t have to incur the cost of processing the lead-filled glass. Simply put the precautions and complexity required to recover the materials in CRTs makes them difficult and expensive to recycle. Disposing of old flat-screen televisions has its own problems. Older models that were built with LCD lights in the screens can contain up to 20 mercury-filled tubes. Mercury is a toxic metal filled with mercury. Poisoning of humans can occur from inhalation, ingestion, or skin contact with the various forms of mercury. Because the screens are hard to take apart, workers have to worry about rupturing those tubes. So How Can You Dispose of Your Old TV? There are a few issues to consider with electronic waste disposal, also known as e-waste disposal. Because of the number of laws and regulations, especially in states such as California, many items such as monitors, TVs, and even cell phones cannot be simply tossed in the trash. What's more, when you want to properly dispose of a computer monitor - particularly any old CRT devices you still have around - the process takes time, effort and money. Currently, the total amount of e-waste only makes up of 2% of the municipal waste stream in America. But that quantity is growing and those items are among the most toxic. While these things are perfectly safe while they sit around in your home, it's when they are broken apart or left to rot and rust that all sorts of toxic materials can seep out. Among the major offenders are lead, mercury, arsenic, cadmium, chromium and barium. The bottom line is that with all the reusable materials in old electronics, especially old TVs, recycling and recovery is really not optional. Got a New TV? What About Your Old One? Most of us have had the difficult experience trying to move an old, boxy, heavy TV set. It seems that it’s almost impossible to carry those old televisions without somehow scraping your hands and possibly hurting your back. That could be why so many people have their old TVs still sitting around their homes, taking up space and collecting dust. Unfortunately, it seems that it’s easier to simply hide them in the garage somewhere thinking they’ll get around to disposing of them later. Another real reason that getting rid of your old TV is difficult is because they are considered e-waste items. As we noted previously, old television sets contain harmful and toxic metals and other chemicals. These can eventually pollute the local environment if they are somehow thrown into a landfill or any other improper disposal location. For these reasons, disposing of your old TV needs to be taken seriously, both for the health of the person attempting to carry the set and for the health of the environment. Televisions have been around since the 1940s and they have always presented a challenge of how to dispose of an old TV after Dad brought home a new one. Many people can still remember the massive television cabinets that often took up half a wall in the living room. Talk about a disposal challenge! In the last few decades of the 20th century, the trend was towards smaller, more portable units. Unfortunately, however, when these relatively inexpensive units died or were replaced, it was an easy thing to simply toss them into the garbage can and be done with it. But those heavy CRT units could be very dangerous because of the toxicity and possible injury if they imploded. By the 1980s we also had to deal with computer monitors that were little more than specialized CRT units. Many of the same problems existed when it came to disposal and health concerns. 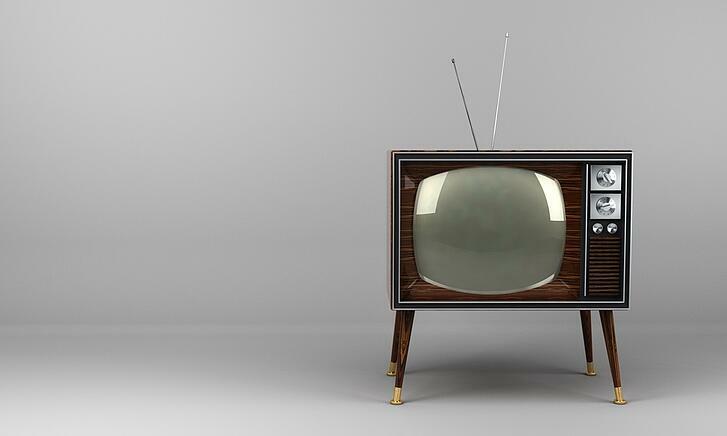 The toxic materials that were used in the old televisions presented a health and environmental concern that became a crisis of sorts by the end of the 20th century. Part of the problem in the United States was that so many people owned televisions. By 2001 we were replacing and upgrading them by the hundreds of thousands every month. There are good reasons for the laws and other regulatory restrictions on CRT-type devices since they all contain highly dangerous materials. However, in at least 25 states, there are no e-waste laws restricting the disposal of electronic waste. This also means that there are often no government resources for people who want to properly dispose of electronics. In those places, the local Best Buy location serves as the only option. Best Buy reports that it has recycled more than 1 billion pounds of electronic equipment since it started its e-waste program in 2009. And, until recently, people could drop off old TVs for free. But according to the company, businesses and municipal landfills began refusing CRT TVs. To their credit, Best Buy took on much of the financial burden for recycling the materials. The retail chain has since begun charging a $25 fee recently for recycling TVs. Another option, of course, is donating your old appliance. There are probably dozens of organizations, schools, shelters and other programs that could make good use of working, usable televisions – even your old CRT set! Larger communities and cities often have an agency or municipal website that serves as a portal and clearinghouse for information regarding area non-profits, etc. Groups like United Way can often put you in the right direction for donating. Ultimately, recycling televisions is always the best option for old units that no longer work. 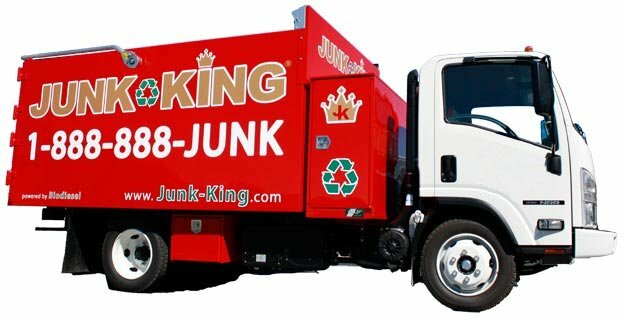 And the most efficient and far more convenient approach for taking care of your old TV recycling needs - whether we're talking about old computer monitors, old CRT televisions, or large flat screen units - is to call a reputable junk hauling firm.